and 10+ to volunteer with a parent or guardian. during business hours to begin their volunteer experience. or kfilardo@catholiccharitiesks.org, in order to set up their volunteer experience. TurnStyles would not be the success it is today without our incredibly loyal and passionate volunteers. Volunteers make up 95 percent of the operation of TurnStyles. We have sorters, cashiers, drivers and do-it-yourselfers from all ages and walks of life who have a great time volunteering at TurnStyles. Volunteers also include students searching for service hours, individuals needing community service hours, and co-workers looking for a team-building activity or corporate outing. 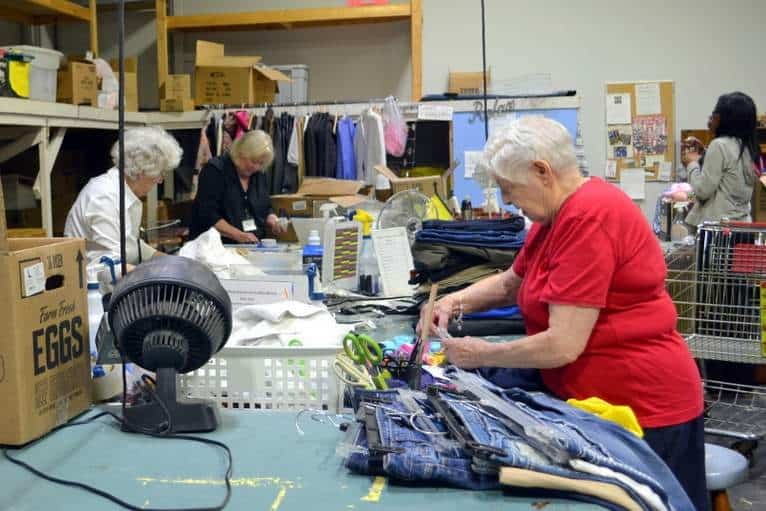 New volunteers in TurnStyles Thrift Stores are always welcome. If you are looking to volunteer for school hours, confirmation, or other required types of volunteer services, please fill out a Volunteer Interest Form. Thank you! We love hosting groups of 5 to 25 volunteers at TurnStyles. The typical work group can schedule from 2 to 6 hours at a time (or more) during hours of operation. We also speak to various groups about TurnStyles opportunities and how Catholic Charities of Northeast Kansas impacts people in need. If your group is interested in volunteering and would like to have a site visit, please fill the VOLUNTEER GROUP INTEREST FORM. Are you looking for a service activity to do as a family? 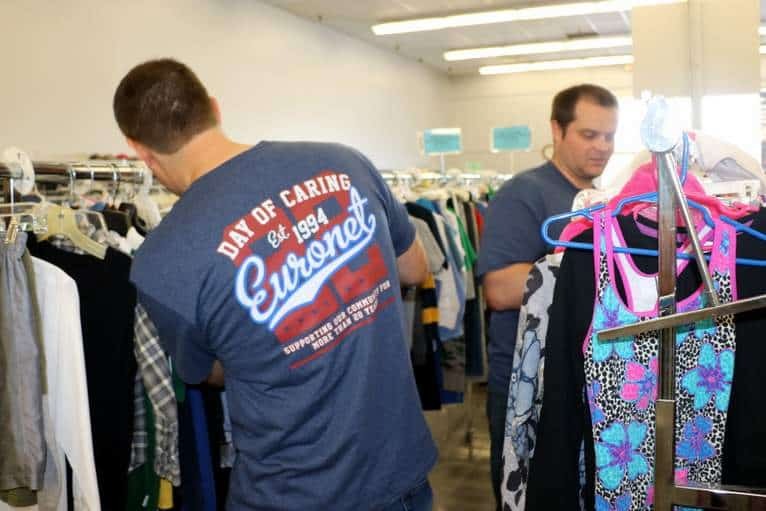 How about spending some time together on a Saturday lending a hand at TurnStyles Thrift Stores. You will assist by sorting and hanging the generous clothing donations we receive throughout the week. 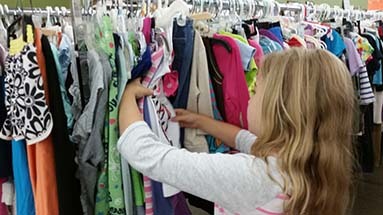 Most of all, you will help other families who rely on our thrift store to clothe their children, as well as themselves. Minimum age requirement: 10 – 13 years old to volunteer with a parent.